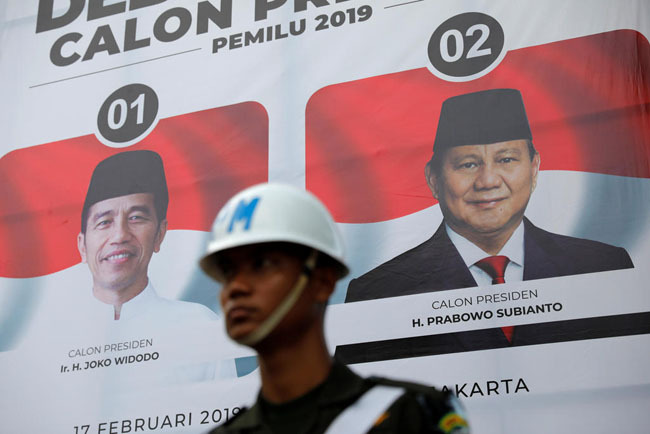 Presidential elections in Indonesia will be on April 17, the country’s current president Joko Widodo faces the tough competition of the former military general Prabowo Subianto in the presidential election. During his election campaign, Joko Widod is continuing using hologram technology like Turkish President Recep Tayyip Erdogan and Indian Prime Minister Narendra Modi. In the elections on April 17, 192 million registered voters will use their right to vote. They include 5 million new young voters. According to public opinion reviews, President Joko Widodo has won the lead over his rival candidate.